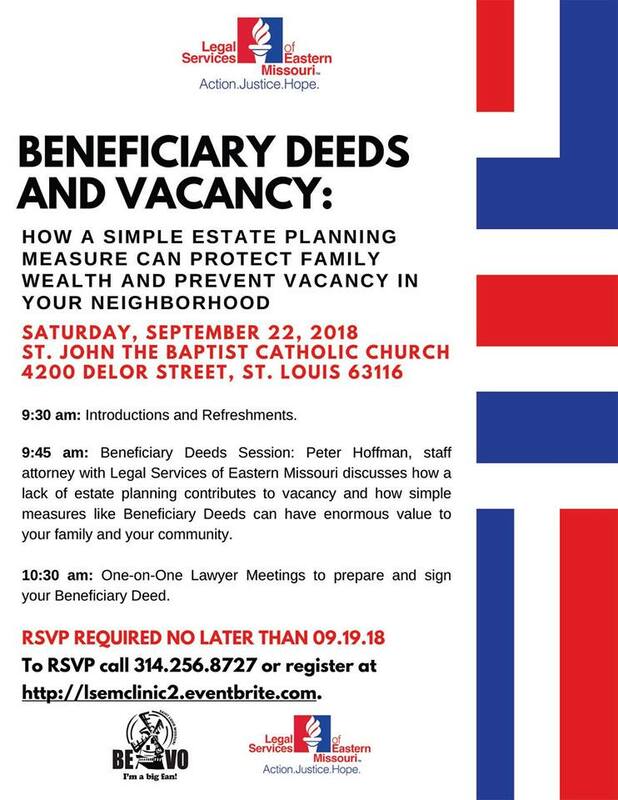 Join our Neighborhood Vacancy Initiative and volunteer attorneys for a special FREE estate planning session on Saturday, September 22 at the St. John the Baptist Catholic Church in South St. Louis City. This session will discuss the importance of beneficiary deeds to pass on your home and prevent vacancy, and will include one-on-one meetings with a lawyer to prepare and sign your own beneficiary deeds. THIS SESSION IS FREE, BUT RSVP’s ARE REQUIRED BY 9.19.18.